No longer! In this witty, accessible, and beautifully illustrated guide, Eleanor Spicer Rice, Alex Wild, and Rob Dunn metamorphose creepy-crawly revulsion into myrmecological wonder. 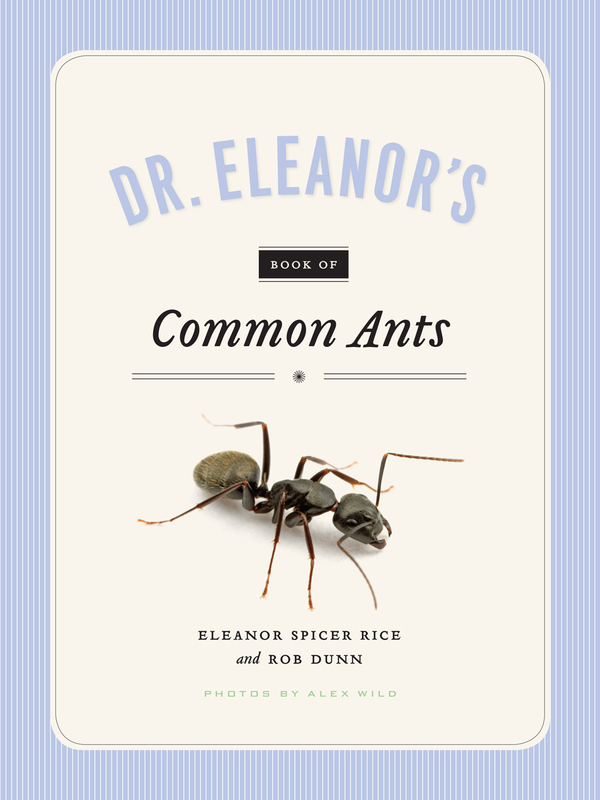 Emerging from Dunn’s ambitious citizen science project Your Wild Life (an initiative based at North Carolina State University), Dr. Eleanor’s Book of Common Ants provides an eye-opening entomological overview of the natural history of species most noted by project participants—and even offers tips on keeping ant farms in your home. Exploring species from the spreading red imported fire ant to the pavement ant, and featuring Wild’s stunning photography, this guide will be a tremendous resource for teachers, students, and scientists alike. But more than this, it will transform the way we perceive the environment around us by deepening our understanding of its littlest inhabitants, inspiring everyone to find their inner naturalist, get outside, and crawl across the dirt—magnifying glass in hand.